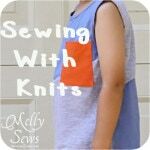 Hey y’all, continuing with the month of sewing knits, today we’re going to talk about different sewing stitches for knits. 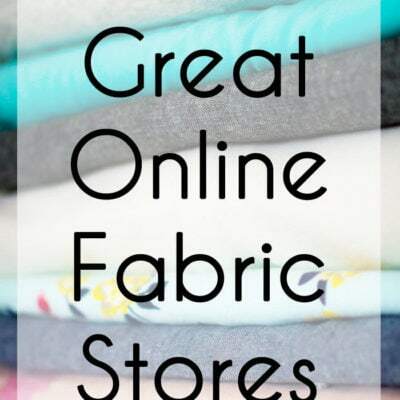 For those that are beginners to sewing knits, the reason you need a special stitch to sew knit fabric is because knit fabric stretches. Which means you need a stitch that stretches. If you use a straight stitch the fabric will stretch and the stitch won’t, which means popped stitches. 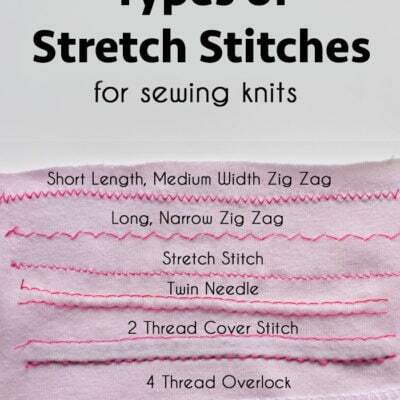 So, what kind of stitch stretches? And do you need a special machine to make it? The answers to those questions are the subject of the video below, where I demonstrate several stitches. If the video won’t load, you can also watch it on YouTube here. And if you’re not a video person, I’ve got a discussion of the stitches below. 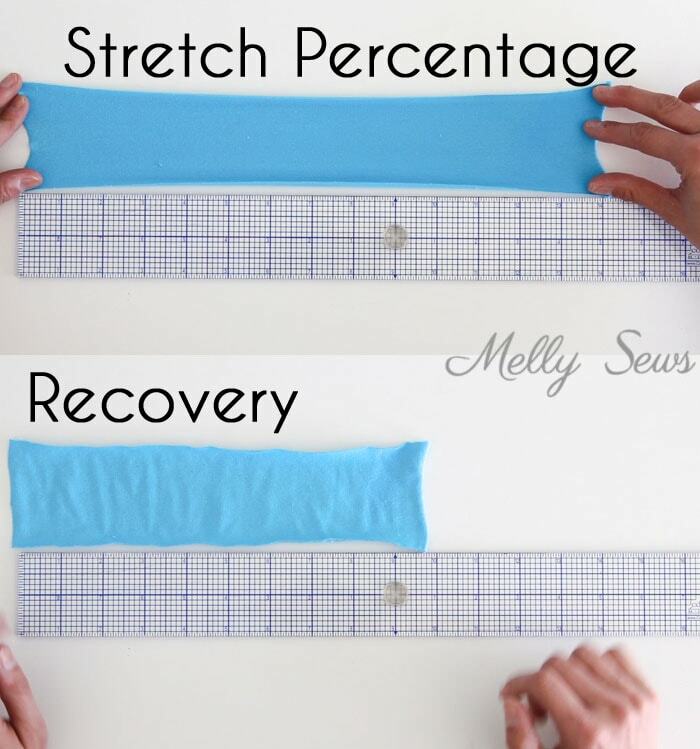 Before we get into a discussion of how to sew knits, we need to talk about stretch percentage and recovery of knit fabrics. Stretch percentage is the amount a given knit fabric can stretch before it severely distorts. So for example, below I have a 10 inch strip of knit that I can stretch to 14 inches before it starts getting really distorted. Those 4 extra inches divided by 10 (the total starting length) means that this fabric has 40% stretch. 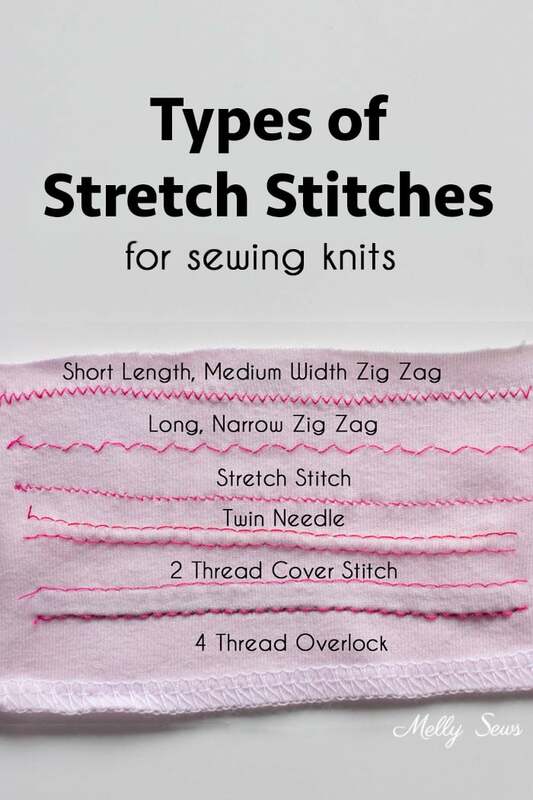 Now that we know this, we’ll be better able to compare the stretchiness of stitch types. Recovery simply means how well/whether the fabric snaps back to its original shape. As you can see above, this fabric (a 95% cotton 5% spandex blend) also has good recovery. Now let’s take a look at some stretch stitches. First of all, you don’t need a special machine to sew knits. 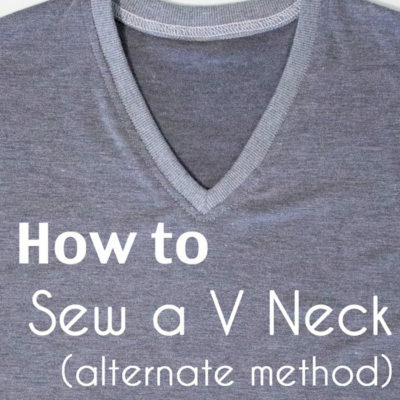 You can do it with your regular sewing machine as long as it can do a zig-zag stitch. The side to side motion of a zig-zag means that it is a stitch that can stretch. In the video above, I compare the default zig-zag on my machine, which has a length of 1.4 mm and a width of 2.5mm, with a longer and straighter stitch (3.5mm and 1.5mm). The first stitch is the stretchier of the two, because the more back and forth the needle does, the more the thread has room to stretch. Some machines, mine included, also have a specific stretch stitch. It looks like a lightning bolt, and it works kind of like a zig-zag, except the needle goes back a little bit to overlap the previous stitch. 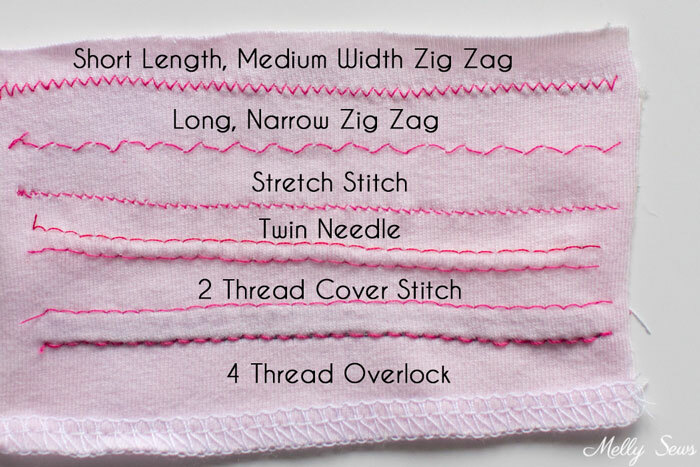 This means that the stretch stitch can look more like a straight line while being just as stretchy as a zig-zag stitch. If your machine does both a zig-zag and a stretch stitch, I advise you to play with both of them. 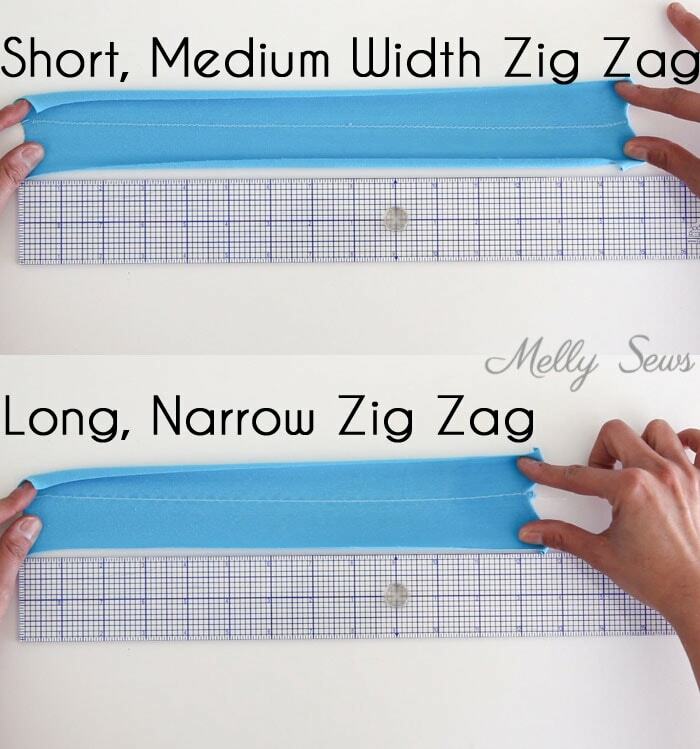 The zig-zag is often faster to sew, but it can look more “home-ec project” than an stretch stitch, which looks closer to store bought finishes. On the other hand, the stretch stitch is harder to seam rip than a long, narrow zig-zag stitch. 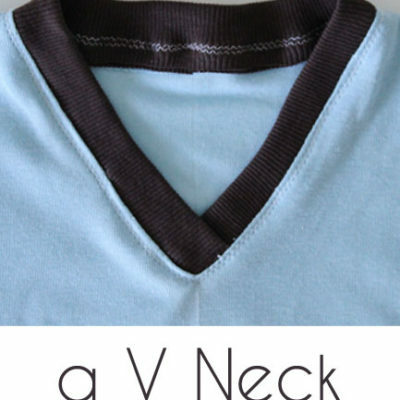 Another stretch stitch you can do on a regular machine is a twin needle stitch. And instead of a long discussion of that, I actually have an entire post about twin needle stitching here. Now, while you can sew knits with a regular sewing machine, I’m not going to pretend that specialty machines aren’t useful for sewing knits. 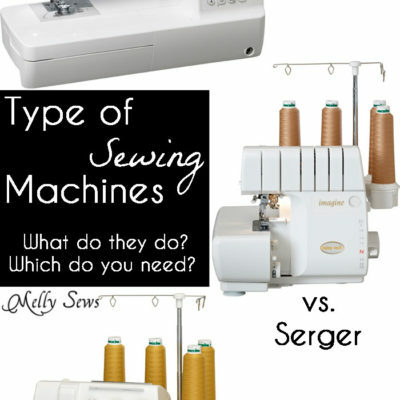 Both a serger (also know as an overlocker) and cover stitch machines can be very useful, and in fact now that I have a serger, I use it for the vast majority of knit sewing. Hemming is where a cover stitch machine shines. On the top, it does what looks like a straight stitch, but instead of a bobbin it has a looper kind of like a serger (in fact, some sergers convert to cover stitchers) for the wrong side. Which again makes the stitch super stretchy. And it doesn’t cut the fabric, so it can bu used for hemming and topstitching. 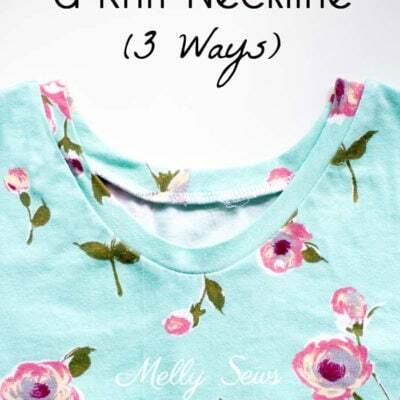 A twin needle stitch can get close, but it’s not as stretchy as a cover stitch, which is why most ready to wear knits are finished on a cover stitch machine. 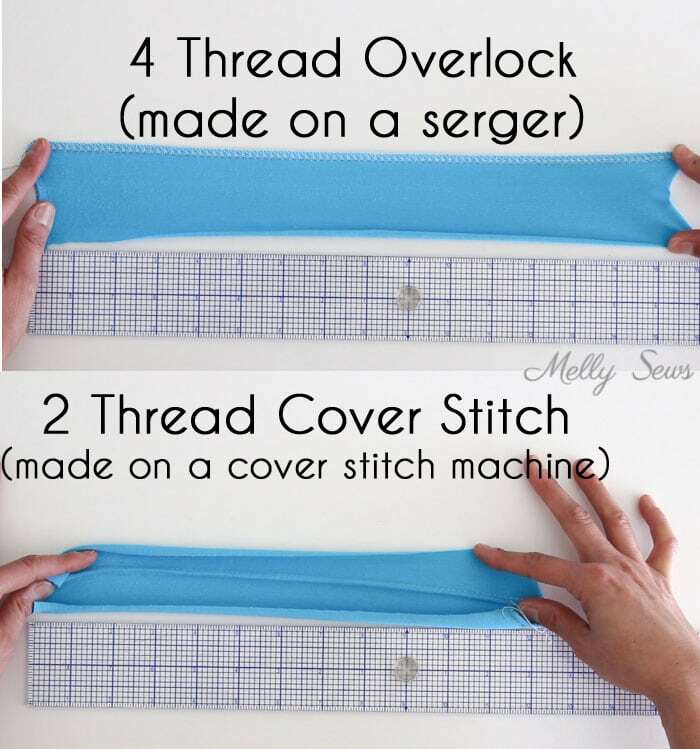 Most cover stitch machines can even do a chain stitch, which looks like a regular straight stitch on the right side, but has a series of loops on the wrong side. This kind of stitch, when properly secured, is both stretchy and strong. However, if you forget to secure the ends, this is also the type of stitch that used to be used on the tops of dog food bags, where you could pull the string and rip out the whole stitch easily. 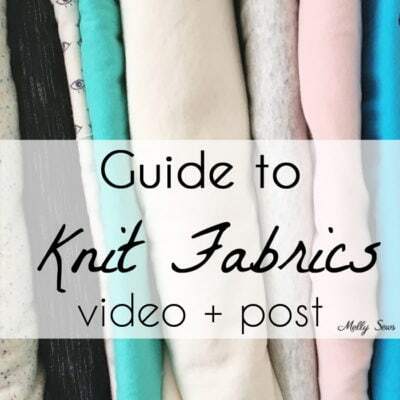 So there you go – depending on your machine, you have lots of choices when sewing knits! 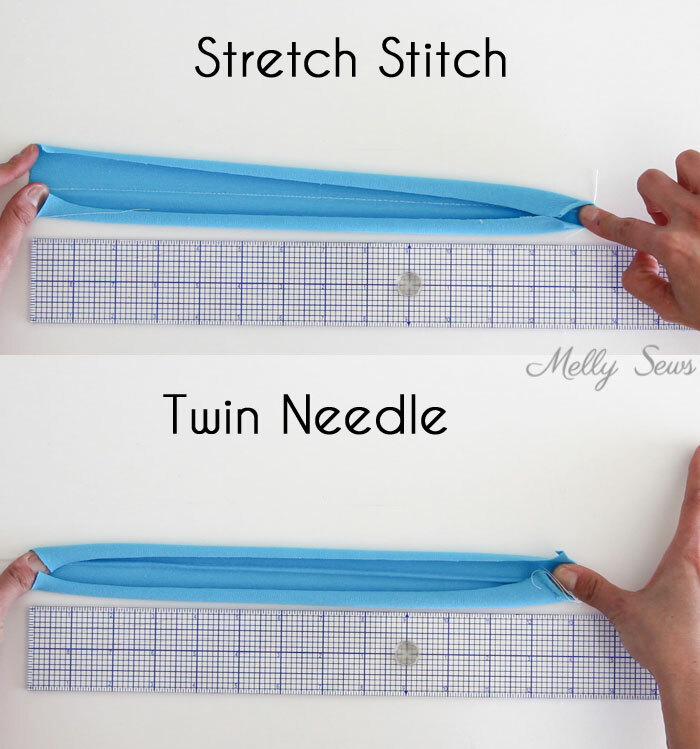 Thanks for sharing this tutorial on stretch stitches, Melly. 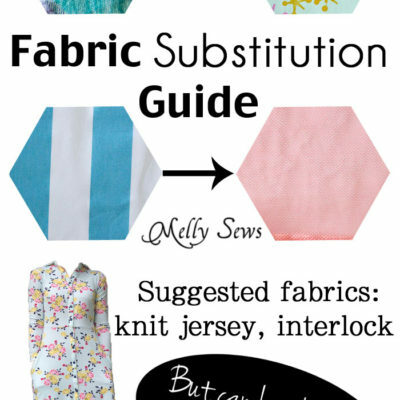 I’m having an awful lot of problem sewing with knit fabrics at the moment and hunting for all the information i can gather to help with this. 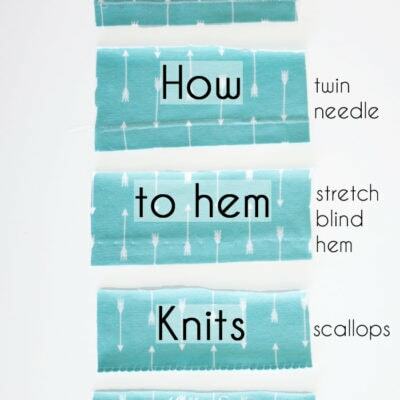 It’s great to understand the way different stitches work with regard to the amount of stretch they allow. Awesome! Now I know which stitch I need to be using. I have been using the wrong settings on my zigzag. I’m going to switch it up today and see if the stitch stretches. better.